Hotel Seril 1 places you next to Calis Beach and within a mile (2 km) of Calis Bird Sanctuary. This 24-room hotel welcomes guests with conveniences like a restaurant, a bar/lounge, and concierge services. This hotel is home to a restaurant and a bar/lounge. Start each morning with buffet breakfast, available for a fee from 8 AM to 10 AM. Guests can expect to find an LED TV with satellite channels. The bathroom offers hairdryers, free toiletries, and slippers. Other standard amenities include a balcony or patio, a phone and a desk. At Hotel Seril 1, guests have access to features like express check-in. You can put free off-site parking to good use if you drive. The front desk has multilingual staff standing by 24 hours a day to assist with concierge services and securing valuables. This smoke-free hotel also has a garden. The hotel offers a restaurant. A bar/lounge is on site where guests can unwind with a drink. 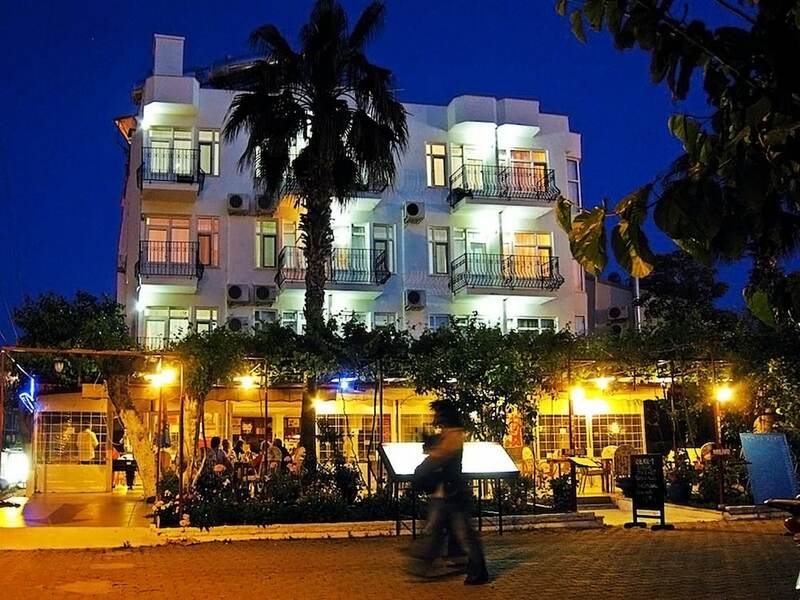 This Fethiye hotel also offers multilingual staff, a garden and concierge services.